For many people, the kitchen is the heart of the home. It is where the family gathers to cook, eat and celebrate. It is a space loved by many and needed by all. Finding an expert in kitchen remodeling is the key to updating your house. 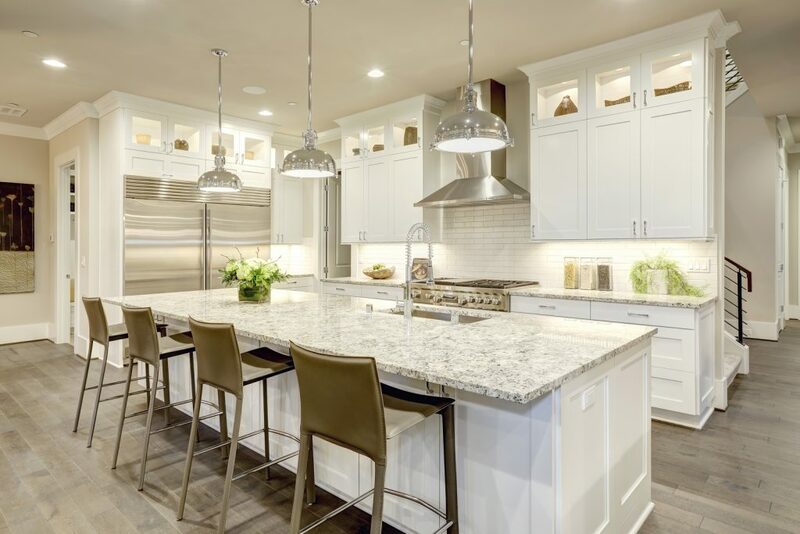 There are multiple ways to redo a kitchen, including changing the colors on the walls or cabinets, creating more space or even modernizing your appliances. A few ways to get a fresh look from kitchen remodeling is to modify your existing cabinets. This can be done by simply changing the color or even recreating the layout. Fresh looking cupboards will have the appeal of a new space. They will automatically change the look of your kitchen. You can also change the layout of your kitchen by purchasing cabinets that fit your family’s needs better. Organization tools can be added to drawers and shelving. They can be placed in areas that won’t obstruct appliances and will better serve your needs. One of the best parts of a remodel is that you can dream your kitchen into however you want it to look. Do you envision a large center island that the family gathers around? Do you need more storage up high to keep things out of little hands? Maybe you need less storage and want more room to maneuver and more surfaces to bake, chop and cook on. A kitchen remodel expert can help you transform the space you have into the space you want. With any change, it is important to consider your organization plan. Ensure that you will have enough cabinets, shelves and drawers in order to fit your kitchen necessities. Also, organize your kitchen in a way that best suits your needs. Instead of having a junk drawer, make space for everything to have its own home. A great remodel starts with a plan. A true transformation can take place by talking to a professional who can help your kitchen remodeling vision become a reality.